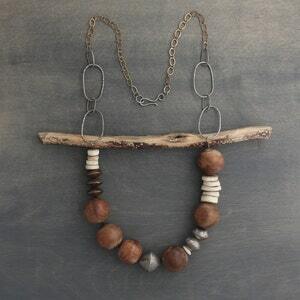 This long, one-of-a-kind necklace features a collection of rustic, natural materials. 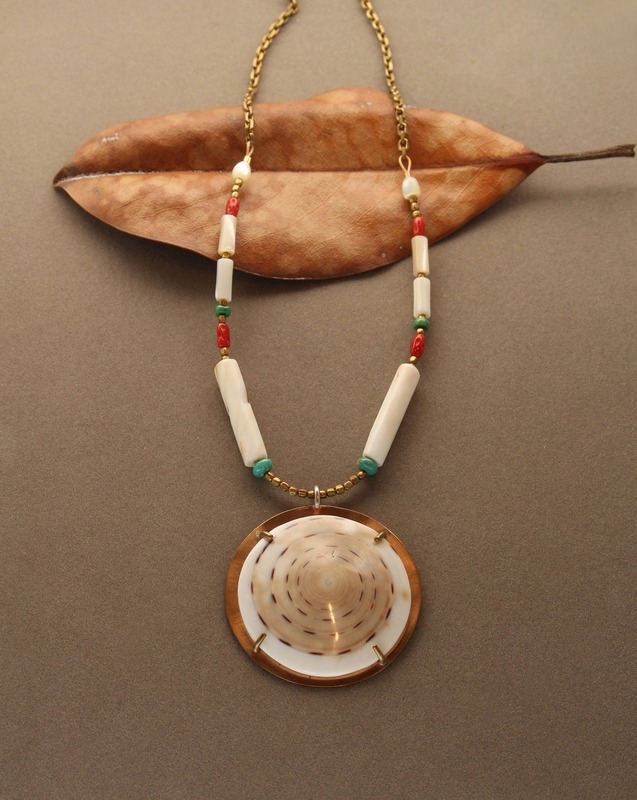 The large, bold pendant is made from bronze metal and is set with a beautiful slice of conus shell. 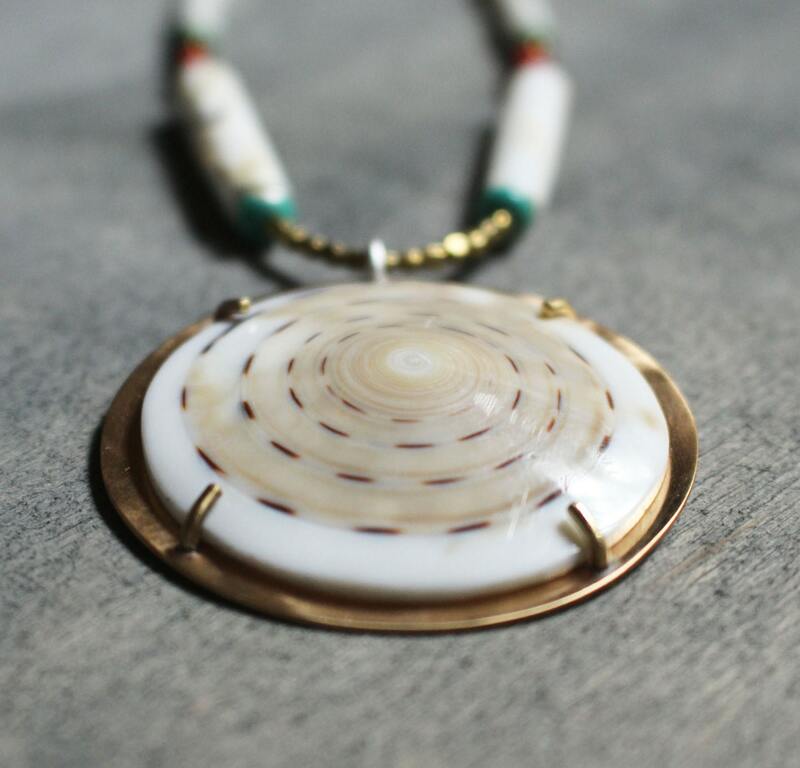 These shells are known for their natural spirals on each side, which is why I left the back of the pendant open so you could see the intricate pattern on the back of the shell as well as the front. 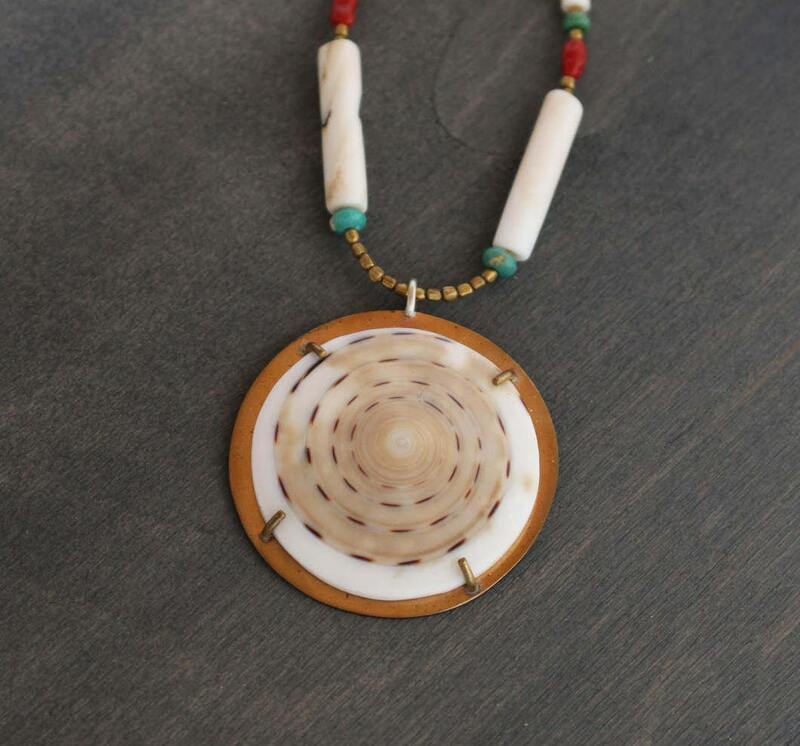 This conus has the traditional white color on the outer edge, its lines are beautiful brown dashes, and lovely beige, tans, and peachy sand colors run throughout its center. 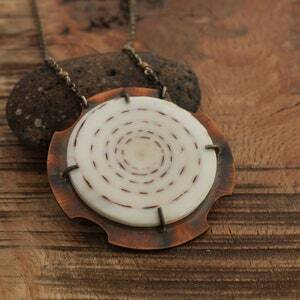 It has a 1.75 inch (44 mm) diameter. 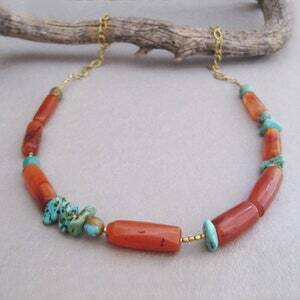 The center of the necklace is strung with tiny brass beads, natural green American turquoise, conch shell tubes, natural Mediterranean coral in deep red, and natural mother of pearl with an iridescent sheen. 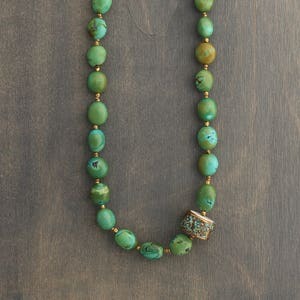 The contrast of these organic elements gives the necklace unique color and texture. 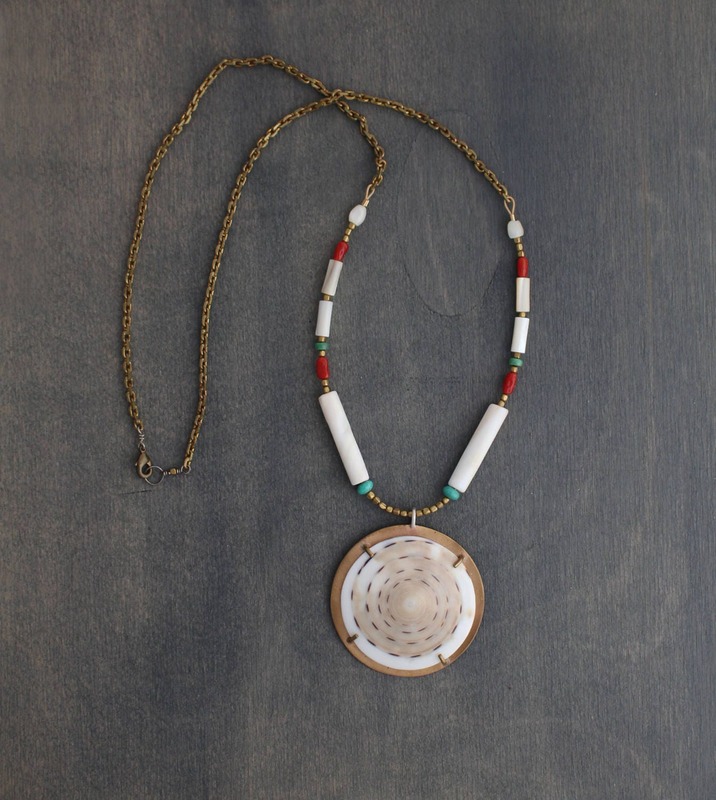 The delicate brass chain that finishes the necklace was made at a fair trade work shop in Bali, Indonesia. 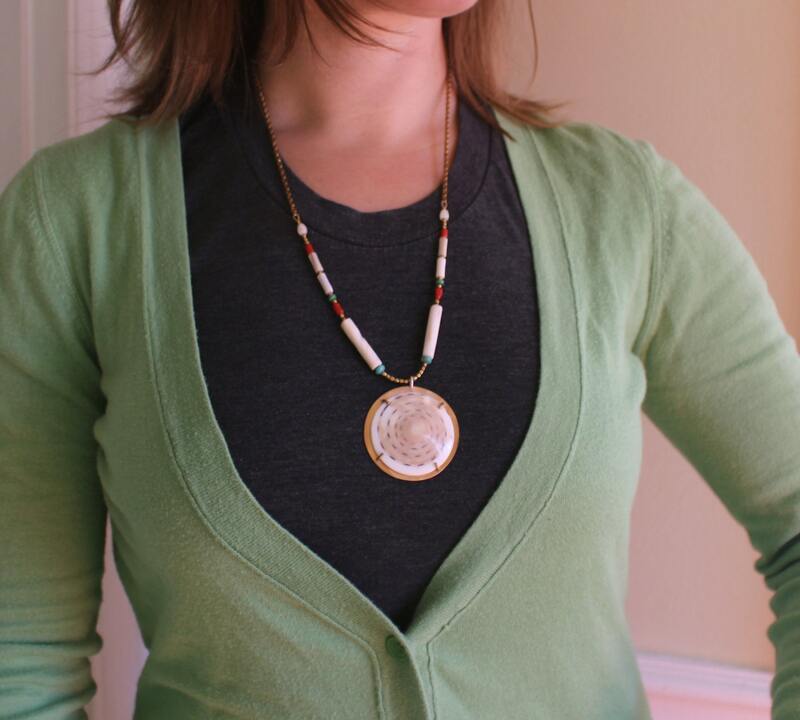 The total length of the necklace is 24 inches (61 cm) not including the pedant. Please let me know if you would prefer a shorter length. 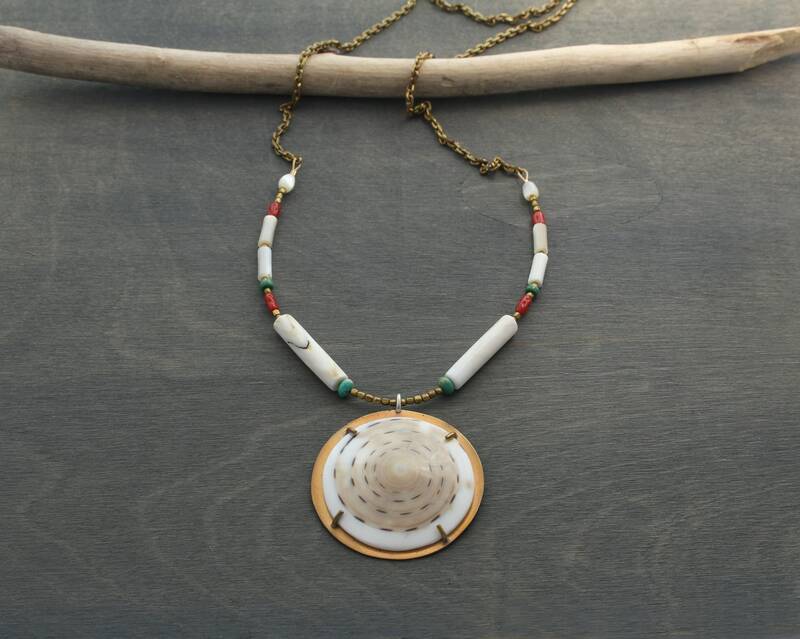 This piece is a unique and beautiful statement necklace. 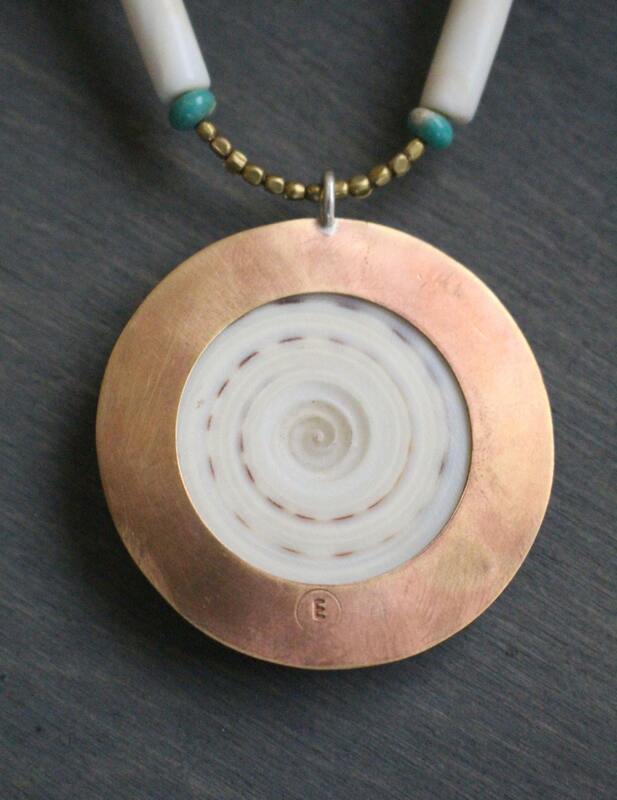 This item is ready to ship and will come with complimentary, eco-friendly gift wrap. Contact me with any questions or special requests. Thanks!